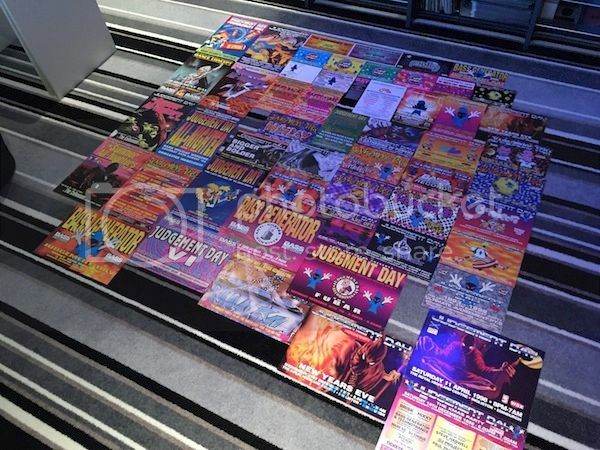 Sold £30.00 - Judgement Day Rave Flyers - It's all about flyers! I had carpet like that in the 80s! Maybe hes selling his flyers to fund a new carpet !